We’re less than seven months away from the November election, and if the rest of this year unfolds like the first 100 days have gone for Jason Crow, 2018 is going to be a banner year for the Aurora Democrat. 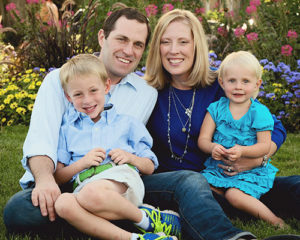 Today, Jason Crow, a decorated former Army Ranger, father, veterans’ advocate and candidate for Colorado’s 6th Congressional District announced raising $461,832 for the first quarter of 2018, bringing his total raised to $1,259,532 since launching his campaign one year ago this week. Crow, who has pledged to not take a dollar from corporate PACs, brought in 91% of his Q1 money from individuals with an average donation of $121. He has gained more than 4,800 individual donors for the cycle and he currently has $883,746 cash on hand. 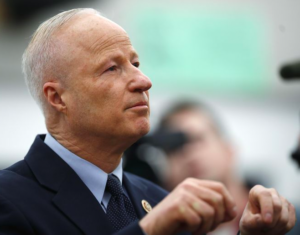 We don’t know what Coffman’s Q1 fundraising numbers look like (figures won’t be available via the FEC until next week), but Crow’s $461,832 far exceeds the $276,712 raised by the Democrat in Q4 2017; Crow outraised Coffman by $35k in the last three months of 2017 as Coffman finished the year with his worst fundraising performance since 2011 (Coffman’s weak fundraising also followed a general downward trend for incumbent Republican Congressmen throughout the country). Older, white, educated voters helped Donald Trump win the White House in 2016. Now, they are trending toward Democrats in such numbers that their ballots could tip the scales in tight congressional races from New Jersey to California, a new Reuters/Ipsos poll and a data analysis of competitive districts shows. Can Rep. Mike Coffman (R-Aurora) ride out a blue wave in 2018? While the margins have varied over the last few months, Democrats continue to hold a strong lead over Republicans in the “generic congressional ballot” that measures how voters generally feel about candidates from the two major parties. The Washington Post reported on Monday that Republicans are growing so concerned about losing their majority in the House that they may shift most of their resources toward trying to preserve their slim majority in the Senate. Coffman’s biggest political victory in recent months occurred last weekend, when he narrowly avoided a Primary challenge from little-known Republican Roger Edwards. Coffman had to scrap and claw to keep Edwards below the 30% threshold required for ballot access, and there is reason for Coffman to worry about being able to hold onto his Republican base in November. Meanwhile, Crow is consolidating support among Democrats; Levi Tillemann, the only other Democrat still in the race, is fading fast and seems unlikely to pose much of a threat to Crow’s nomination. Coffman has consistently demonstrated a remarkable ability to overcome difficult opponents and tough political environments over the years, and we’ve learned from experience not to count him out. But sooner or later, the odds catch up to everyone — even Mike Coffman. "Little known Roger Edwards?" Why, he was backed by Colorado Pols, the mightiest political machine in Colorado. Seriously, for you strategic voters, it might be time to send Crow a check. Edwards is a longtime reader and occasional diarist at Colorado Pols, which we appreciate, but we played no role in this primary. Roger did enjoy the support of most of the Democrats on this site. At least through the GOP primary.
. . . to the credit of all the unaffiliateds on this site who knew much better. 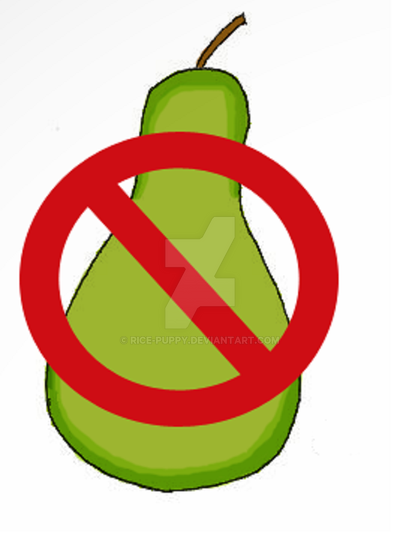 Honestly, I just hate pears. Collusion, I tell you. Pols rules! Time will tell what Crow-mentum looks like. Waiting for ISP boy to weigh in with his usual blather. Crow presents himself as the family man with photogenic family. Mikey doesn't even have Cynthia or the Golden Retriever anymore for photo ops. What happened to the Golden Retriever? I think it eventually died. Buckley died of cancer back in 2012. Really sweet pooch. Oop, I hear the distinct sound of steam escaping from Moddy's ears. He'll be here any moment to insist the lesser Coffman is an undefeatable staple of Colorado! Probably a plug for his beloved taller as well! If the two of them had just adopted Moderatus, they would have had to stay together if only for the sake of their shill. I think they decided against it because ISP boy would have been too hard for them to handle. How would they know when he needs the dog to water him? Every two years we collectively forget that Mike Coffman is indestructible in CD-6 and will have that job as long as he wants it. Ah, 4th time’s the charm!